Through this page you may request a licence for be.IP Secure Client for your be.IP. The licence enables free usage of be.IP Secure Client software for 6 month. Please enter your hardware serieal number and MAC address above. You will recieve a licence key and a licence serial number for activation of the software. 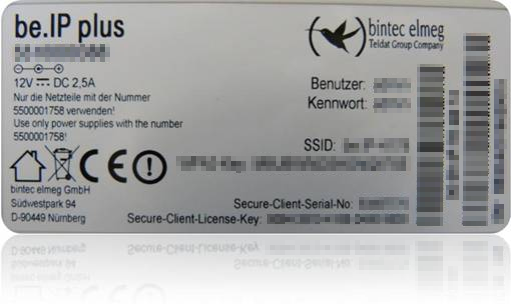 Customer with a higher be.IP serial number than BE2CAD016090001, may find the Licence Key as well as the Serial Number for the be.IP Secure Client at the label of the device (back side of device). These licence data can be entered directly at the be.IP Secure Client at menu Help - Licence Info and Activation. In those cases this procedure here is not necessary!